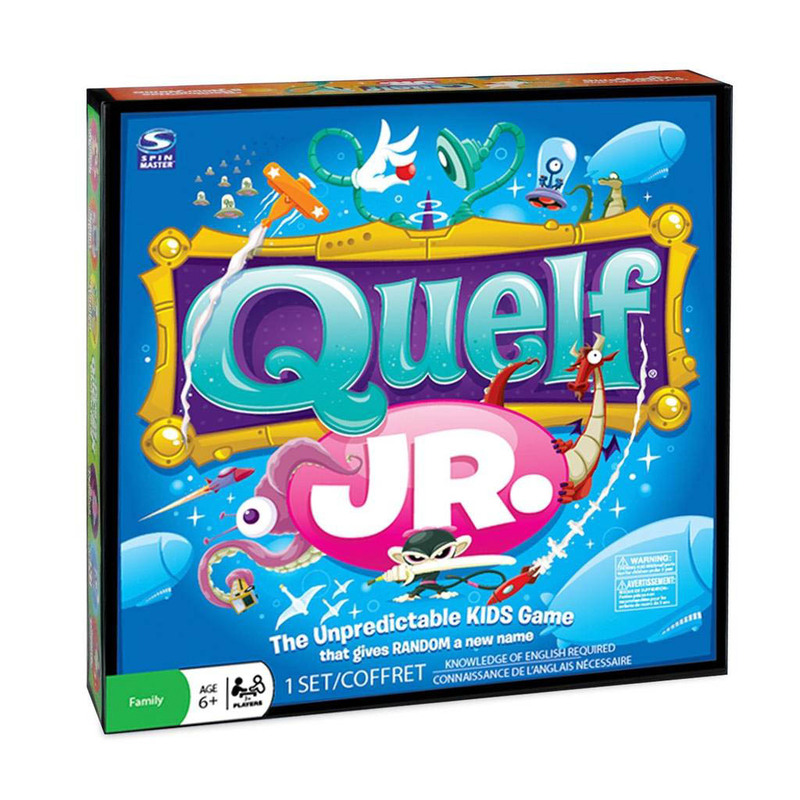 It's the kid-friendly version of the hilarious adult game, Quelf! 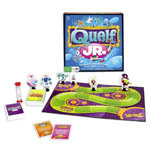 Use your creativity and imagination to answer crazy questions and perform silly stunts. 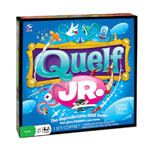 It’s the kid-friendly version of the hilarious adult game, Quelf! 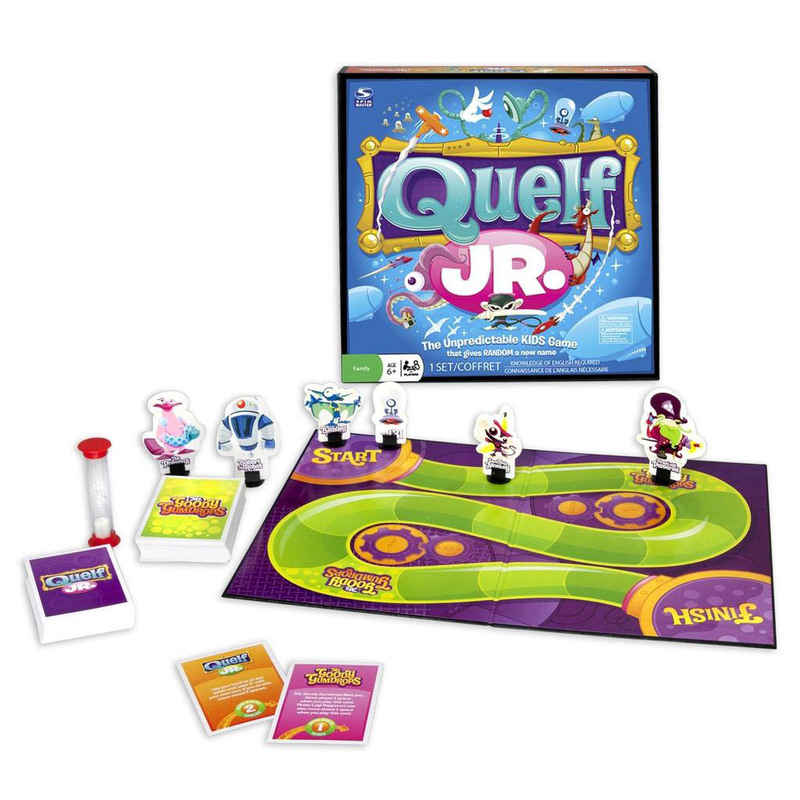 Use your creativity and imagination to answer crazy questions and perform silly stunts. Watch out for Mr. Sourface, the cranky old man who’ll slow you down, while Ms. Goody Gumdrops will help you move ahead. It’s a race to the finish in the game with only one rule: Obey the card!